American singer/songwriter Miguel Jontel Pimentel, known mononymously as Miguel, has unwrapped the tracklisting for his upcoming fourth album “War & Leisure,” which is scheduled to arrive on December 1st via ByStorm Entertainment in partnership with Sony Music’s RCA Records. Current promotional single “Come Through And Chill” – featuring J. Cole & Salaam Remi – is now available via iTunes, Apple Music, Amazon, Google Play, Tidal and all other digital streaming platforms. The follow-up to 2015’s “Wildheart” reportedly boasts further contributions from Steve Mostyn, Jeff Bhasker, Happy Perez, Sidney Swift, Dave Sitek, Jerry “Wonda” Duplessis, Arden Altino, Dylan Wiggins, and Raphael Saadiq. See the tracklisting for “War & Leisure” below. American singer/songwriter Miguel Jontel Pimentel, known mononymously as Miguel, has unleashed his new promotional single online. 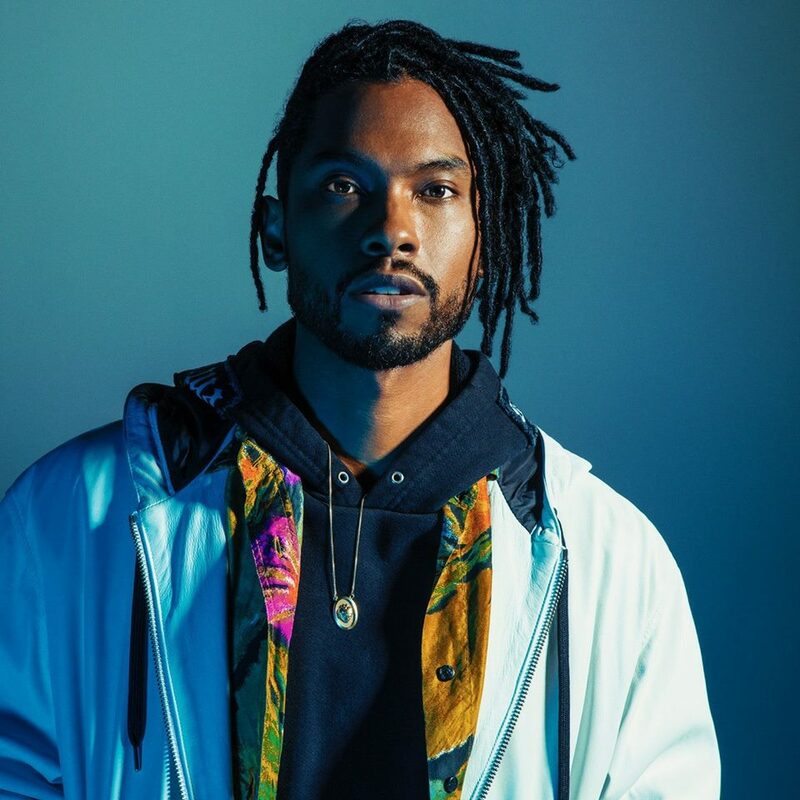 “Told You So” – which was written by Miguel alongside the track’s co-producers Jeff Bhasker and Happy Perez – is now available via iTunes, Apple Music, Amazon, Google Play, Tidal and all other digital streaming platforms. Miguel’s upcoming fourth studio collection “War & Leisure” – featuring previous promotional singles “Sky Walker” and “Shock And Awe” – will arrive on December 1st via ByStorm Entertainment / RCA Records. The follow-up to 2015’s “Wildheart” reportedly yields additional alliances with Salaam Remi (Alicia Keys, Jay-Z), Raphael Saadiq (Solange, Andra Day), James “Malay” Ho (Frank Ocean, Sam Smith), Emile Haynie (Pink, Bruno Mars), Dave Sitek (Kelis, Mikky Ekko) and Fraser T. Smith (Raye, Craig David). Miguel has selected the title for his upcoming fourth album. The American singer/songwriter (born Miguel Jontel Pimentel) christened his next studio collection “War & Leisure” and will release it later this year via Bystorm Entertainment / RCA Records. Lead promotional single “Sky Walker” – which was co-written and produced by regular collaborator Happy Perez – is now available via iTunes, Apple Music, Amazon, Google Play, Tidal and all other digital streaming platforms. Follow-up single “Shock and Awe” was co-written with Warren “Oak” Felder (Usher), Andrew “Pop” Wansel (Chris Brown), Steve “Aceface” Mostyn (Prince Royce) and Ronald “Flip” Colson (Kendrick Lamar). Other musicians expected to appear on “War & Leisure” are Raphael Saadiq (Adrian Marcel), Fraser T. Smith (Craig David), Emile Haynie (Bruno Mars), James “Malay” Ho (Sam Smith), Dave Sitek (Theophilus London), Salaam Remi (Mack Wilds) and Fisticuffs (Jazmine Sullivan). Stream the audio clip for “Shock and Awe” below. Demi Lovato has liberated the music video for new single online. The American singer/songwriter posted the visual clip for “Sorry Not Sorry” to her Vevo channel on Wednesday (July 19, 2017). Lovato’s next album, on the other hand, is expected to arrive later this year via Safehouse Records in partnership with Hollywood Records and Island Records. The follow-up to 2015’s “Confident” reportedly delivers further productions and songwriting contributions from Neff-U, Priscilla Renea, Happy Perez, Miguel, Laleh Pourkarim, Emile Haynie, Tayla Parx, Oscar Holter, Nolan Lambroza, Simon Wilcox, Diane Warren, and Sebastian Kole. Demi Lovato has unleashed her promotional single online. “Sorry Not Sorry” is now available via iTunes, Apple Music, Amazon, Google Play, Tidal and all other digital streaming platforms. The track was written by Lovato alongside Sean Douglas (Charlie Puth, Enrique Iglesias), Warren “Oak” Felder (Rihanna, Alicia Keys), Trevor Brown (ZZ Ward, Betty Who) and Zaire Koalo (Kehlani, Bea Miller). As mentioned in earlier posts, the follow-up to 2015’s “Confident” is expected to arrive later this year via Safehouse Records in partnership with Hollywood Records and Island Records. The still-untitled collection reportedly boasts additional alliances with producers and songwriters including Neff-U, Priscilla Renea, Happy Perez, Miguel, Laleh Pourkarim, Emile Haynie, Tayla Parx, Oscar Holter, Nolan Lambroza, Simon Wilcox, Diane Warren, and Sebastian Kole. Listen to the audio clip for “Sorry Not Sorry” below.